Here are a few Struts Interview Questions for you! Download more High Quality Struts Interview Questions! Struts 2 is more robust and works on a reliable architecture. It is scalable through which you can easily develop any size of application. With this struts tutorial, you can easily understand strut meaning and its functionality. Struts is a flexible open source framework which is used for developing Web application in Java. Struts design is based on MVC (Model-View-Controller) architecture. Struts framework is maintained by Apache foundation. Struts version 1.0 was released in June 2000. Java strut framework is the most popular MVC based among all java frameworks used to develop web-based application. It is time saver framework because it comes with series of tools and components that gives speed in development. Struts was released under the Jakarta subproject of Apache software foundation and come with open source license. Struts 2 is the combination of webwork framework and struts 1. It was originally known as webwork 2. Later they combined and produce the new version and named it as struts 2. Strut works on Model-View-Controller design pattern. Model: - Model layer contain the core functionality of an application. It contain the application state. View: - View layer show the architecture of your application. It shows graphical design layout of your application. When the changes are made in the model layer, the view layer should be notified. Controller: - It controls upper two layers. It acts as a bridge between Model and View. It reacts on user input and manages the model. In the MVC architecture, a controller connects user request to appropriate action and this job is done with the help of FilterDispatcher. Model layer contains the business logic and data. These are implemented by an action component. View layer implemented by JSP, Freemaker, Velocity Template or various other presentation-layer technique. Interceptor: - If you want to add some custom logic such as file upload, authentication etc. interceptor helps you. An interceptor allows you to implement all such features easily. Action handler: - It collaborates with other layers. Value stack: - It allows the expression language to search property value in multiple objects that’s why struts 2 access the data very fast. Result handler: - it dispatches a request to view layer. Custom Tag: - Used to render the dynamic content. Expression Language: - It used to get and set the Java object properties. Controller: - It receives the incoming request and maps it to right action class. ActionForms: - It works as firewall. These component validate the data before any action. If a user add wrong or inappropriate data, then it shows an error. Apart from these, there are many other components of struts such as CORBA, EJB, JavaBeans, Model components, JDO etc. Struts 2 is the advanced version of Java Struts framework and it comes with new features. POJO based forms and actions: - In struts 2 you can easily use any POJO to receive the form input and also you can see any POJO as an Action class. Ajax Support: - Struts 2 support Ajax. It makes the application fast because Ajax is used to make the asynchronous request. Modifiable MVC components: - Struts 2 contain all components information in struts.xml file. If you have any need to change the components just open the XML file and change the information. Tag Support: - Struts 2 framework provide different types of tags such as Data tag, UI tag, control tag and many more. You can easily implement this tags into struts application. Integration support: - You can easily integrate struts application with various other framework such as spring, hibernate etc. Template and Theme Support:- Struts 2 provide three types of theme: Xhtml, simple and css_xhtml. Struts 2 make it easy for a developer to change an entire look of the application by changing a theme. Minimum configuration: - Struts 2 provide less configuration as compare to different framework. Plugin support: - You can use number of plugins in struts 2 application. Integrated profiling: - struts2 offers integrated profiling to debug. 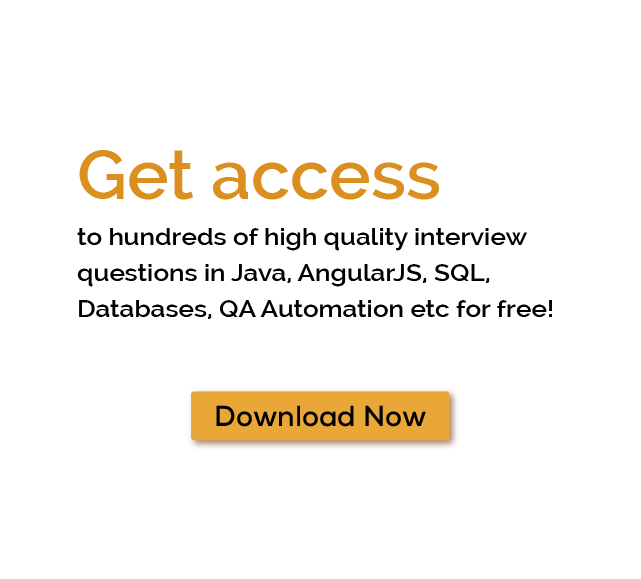 Some of the interview question about struts and Java framework. What is framework in java? What is an interceptor stack? How can you upload files in the struts2 application? Exception handling in struts 2 application? What is the Custom Type Converter in Struts2? What is the flow of request in struts application? What is the role of Action class in Struts? How validation is performed in the Struts application. Difference between DispatchAction and LookupDispatchAction in struts application. What is the use of jsonValidation? What steps are required when an application is migrated from Struts1 to Struts2? Last word: - Struts is a very popular framework to develop web-based application. There are many struts 2 tutorial available on the internet where you can learn to how develop scalable application using struts. Some of the many Struts Interview Questions listed below will help you get an idea about what questions gets asked in such jobs related to Software Engineering & Tech. Get through the Struts Interview bar with our selected Struts Interview Questions for all Struts enthusiasts! For thousands of similar Struts Interview Questions login to our Website or download EduThrill. Experience the thrill of challenging people around the world on Struts Interview Questions!